Composting is one of the easiest green practices, once you start doing it. It involves the natural decomposing of organic matter and using the resulting nutrient-rich soil for gardening purposes. You can add it to other soil types as a fertilizer, as well as use it as a way of cutting down on household waste. Let’s see why you should and how to make a compost bin. Before we get to the instructions for a DIY compost bin, let’s go through some basic facts about composting to help you get started. Always keep in mind that it doesn’t matter how much outdoor space you have: You can always find a composting solution to suit your needs. There is no golden rule for how to produce the perfect compost. However, these practical instructions can help you get there faster. The most important thing is the compost container, which must be suitable for this activity. Composting is a natural process that can be accelerated by storing the materials you want to break down in a bin. Covering the compost heap will help it retain the heat produced by the decomposing process. Also, it will prevent rain from making the materials too wet. While the complete list of materials that can be composted is extensive, all you need to remember is that there are two categories: brown waste (slower-rotting items) or green waste (green leafy garden waste and fast-rotting waste material). In theory, all organic matter can be composted. However, in practice, you should avoid composting items prone to attracting vermin or disease (meat and fish, dog and cat feces, cat litter, barbecue coals and coal ash). Composting builds soil. It literally turns trash into treasure as your build healthy soil with viable nutrients. Given that the U.S. is losing topsoil each year, you can do your part to build it back up. Composting generates healthy plants. With all the diverse life packed in the compost, healthy plant growth is easily cultivated. Why do we need healthy plants? Because they are less susceptible to damage from weather conditions and pests. At the same time, plants grown in healthy, nutrient-rich soil are usually better for you thanks to their higher nutritional content. Composting keeps waste away from landfills. 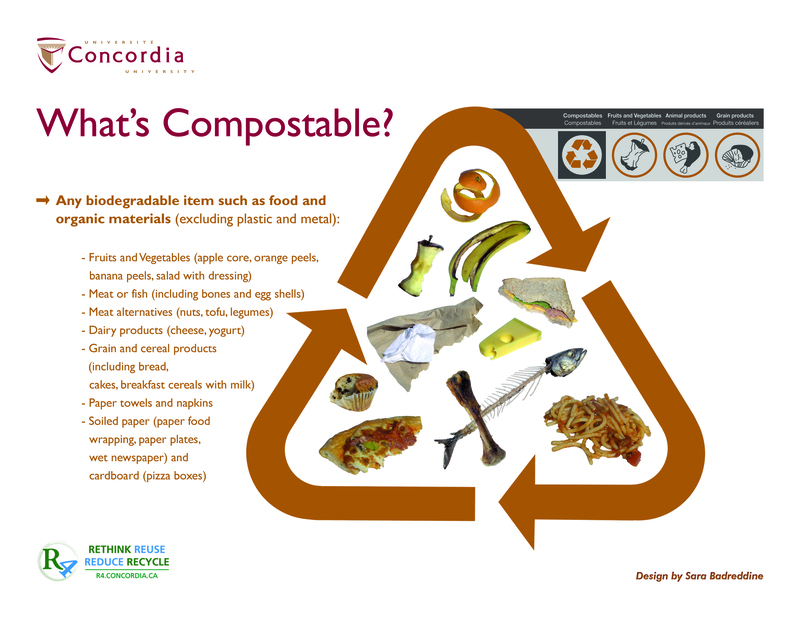 If everyone did it, composting could divert roughly 36 million tons of food waste per year from U.S. landfills. See why landfills are bad for the environment. Composting saves you money. Whether we like it or not, we pay to have our trash removed. Composting is a great move not only for individual households, but also for businesses like restaurants. These venues usually generate a great deal of food waste and composting it would be much cheaper than disposing of it in landfills. Composting saves water. There’s nothing like healthy soil to encourage water retention. Compost cultivates healthy, strong root systems in plants, which in turn decreases water run off. Space – either outside or inside; if you don’t have enough space outdoors, you can try your hand at vermicomposting (composting with worms in a bin). Air – seeing that live microorganisms are involved in composting, this process will need plenty of air. Time & Commitment – it might seem like a long list, but you already have most of the necessary items. You just need some time to synthesize and get started! We’re finally here; we know how composting works, why it is important, and what we need to do it. Now it’s time to learn how to make a compost bin to make the most of our household waste. Thankfully, anyone can do it and it requires minimum carpentry skills. 7 lengths of 2 x 6 lumber, each cut to 3′. If you buy them from a lumberyard, they will make the cuts for you. The most useful and easy to work with is exterior wood, such as Western Red Cedar. The wood for your compost bin does not need to be treated with preservatives. In fact, untreated lumber will last you many more years. Four lengths of 2 x 2 lumber (or 4 x 4), each cut to 3′ lengths. Also, 28 common nails, 2 3/4″ long. Alternatively, using coated decking screws is another option. Sharpen one end of each 2 x 2 to get them to look like stakes. Use a hatchet for fast results; don’t worry about how the end result looks, because these will help keep your bin in place. Nail the 3′ boards to the 2 x 2’s. For aeration purposes, the boards should be installed with space in between them. Prevent the wood from splitting by pre-drilling the nail holes. Depending on your composting needs, you might want to add another row of 2 x 6 boards. Set bin in the desired place and push the stakes into the ground with a heavy hammer or a sledge. The spacing between stakes should be 3″ or less. That’s it! Now you can start using your bin! If you have enough space in your garden, you can install a double bin, or two bins side by side. When the pile gets high, “turn” it by shoveling it into the other bin. It’s not that difficult to learn how to make a compost bin, and the results will be very rewarding. Not only are you saving money, but you are also helping the environment by reducing the waste your household produces.